Rousseau, Paul C. 2014. No One Knew. 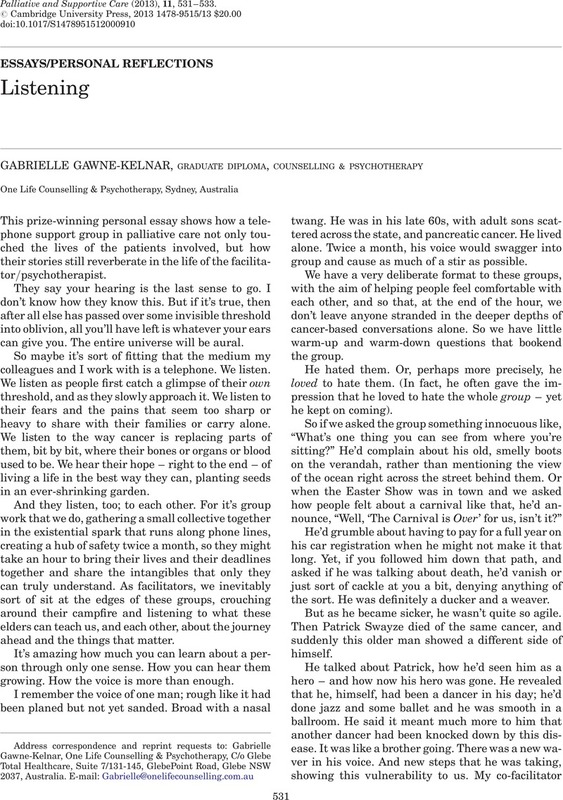 Journal of Palliative Medicine, Vol. 17, Issue. 7, p. 861. Rousseau, Paul C. 2014. Begging To Be Heard. Journal of Palliative Medicine, Vol. 17, Issue. 7, p. 751.